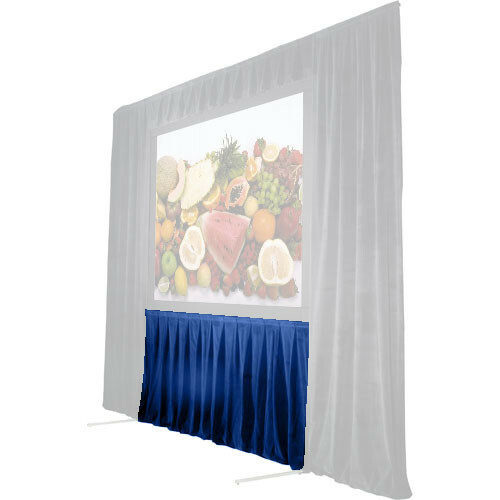 The Screen Works 48" Skirt for the 8'6"x11' Stager's Choice Projection Screen - Blue is a smart addition to any presentation. This skirt helps close the projection area and focuses the viewers' attention on the screen. As it is an opaque barrier, it also provides a secure curtain behind which you can store cases, pamphlets and other material not needed immediately. The biggest benefit of the skirt is that it helps block distracting light from filtering through the background and disturbing your presentation.